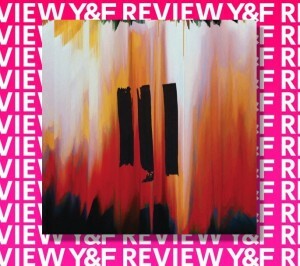 III is the exciting new studio album from Hillsong Young & Free. Dropping perfectly into the midpoint of a heat wave, III is Hillsong Y&F’s biggest, brightest album so far. An album of good vibes, the confidence of the group lets them take a more sedate route early on into III. With tracks like First Love and Heart of God, the group seems to lean in closer to worship with their own words, rather than just splashing a layer of pop over worshipful lyrics. The Australian offshoot of Hillsong Worship, Young and Free were made to fill to gap left by an aging Hillsong UNITED who were beginning to become more relevant to people in their 20s and 30s. Prior to III, they released two live album that went big on the pop anthems. Songs like Alive,This is Living, Wake and Real Love went hard on big synth hooks and catchy melodies that seem designed for stadium-sized audiences. What’s changed between then and now, though, is the growing epidemic of anxiety that young people are succumbing to. It’s no secret that being a teen is hard. With socialising now being as digital as it is in person, being presented with the ‘best bits’ of a friends life and a perpetual stream of worrisome news from around the world, mental health issues are skyrocketing. Peace is drying up. And, above all, peace is the message of III. The peace that comes from trusting Jesus. Days Gone By, Let Go, Every Little Thing, P E A C E, First Love, Heart of God, Love Won’t Let Me Down all directly speak of God’s restorative love. His power to give peace, security, acceptance and trust where life otherwise lets us down. Excelling their past two releases in both sound and message, the album is a beacon for anyone broken by the anxieties of today. And like a beacon, it stand tall, shines bright, and shows a way to safety. There is a confidence in III to not just focus on the crowd-pleasers, but to create a recuperative break from pressures and worries of life. To show a God who heals and guides those who are willing to simply let go. Order III by Hillsong Y&F today!